Managing tape infrastructure can be cumbersome, yet many organizations are familiar with tape processes and retention. Virtual tape library (VTL) technology enables tape logic to be utilized for backing up to disk and to the cloud. 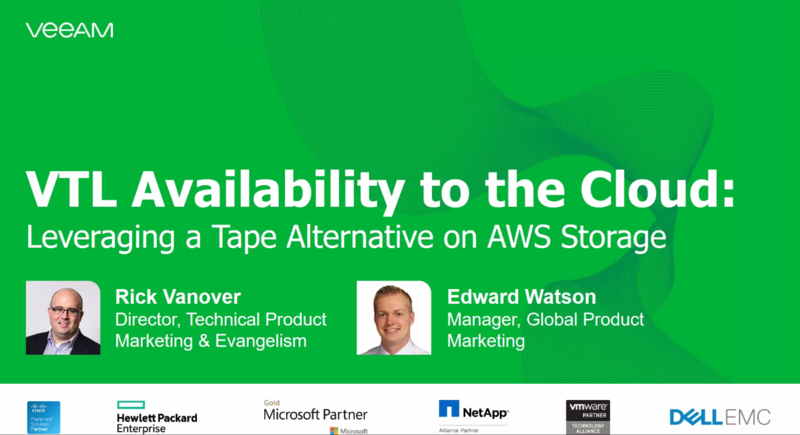 Veeam® has VTL options that allow organizations to leverage a scalable and cost-effective tape alternative on AWS object storage with zero changes in processes.